BEAUTY PRODUCTS: COMPLEXION PERFECTION There is 1 product. Millésime en Blanc is a top-of-the-range care – a jewel with beautiful and refined textures for comfort and absolute efficiency. This deluxe anti-ageing brightening ritual is based on the latest research in dermatology and cosmetics concerning pigmentation of the skin. 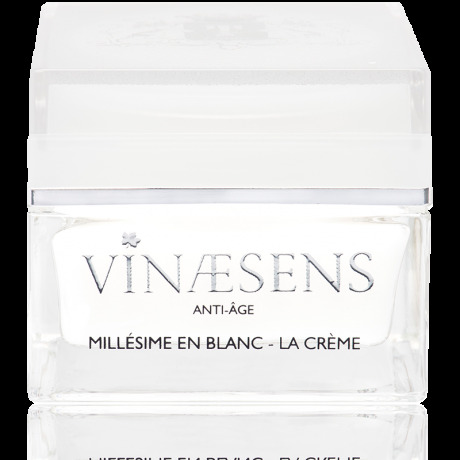 It combines a lightening high-precision anti-spot action with the best of anti-ageing from VINAESENS. The magical duo focuses on the most high-performing active principles for an absolutely perfect complexion and a bright and youthful face.